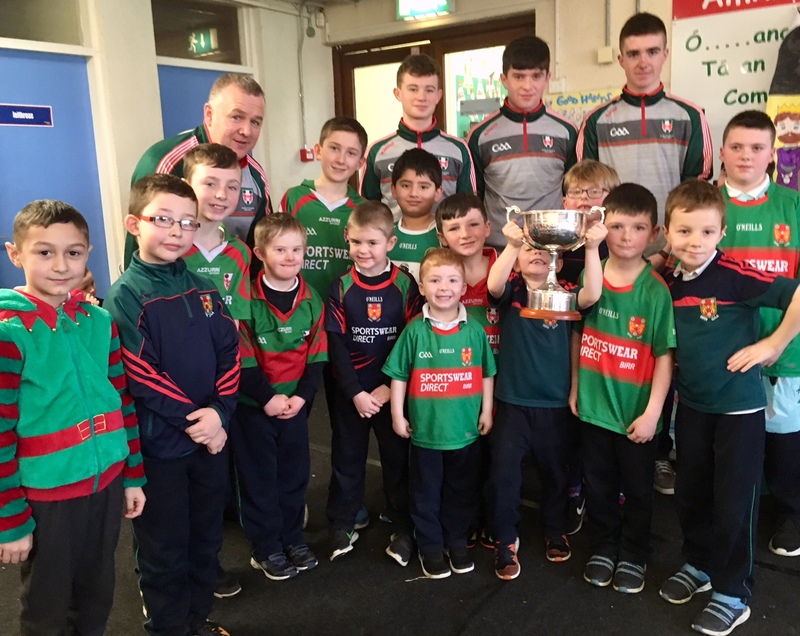 Visit of the cup – We were delighted to welcome some past pupils back from St Brendans U21 hurling team with the cup after their great U21 county final win. 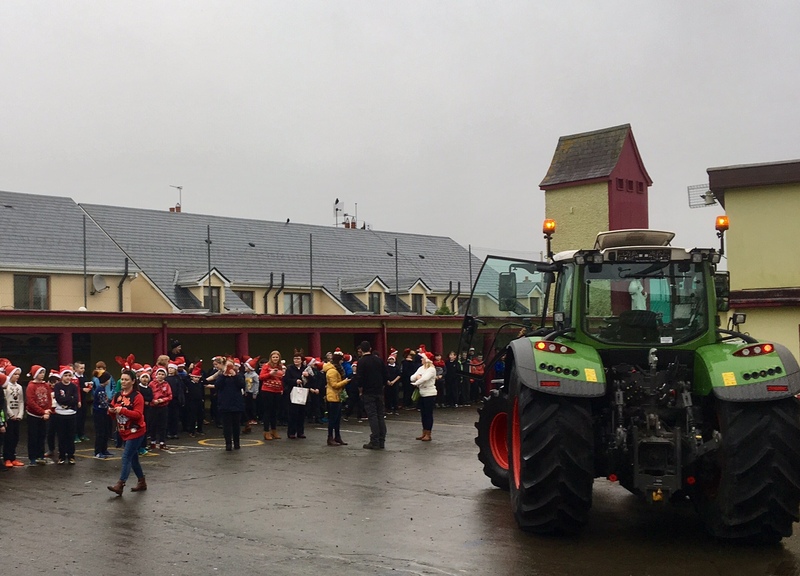 Gary Cahill ( Mentor) along with Cathal Kirwan , Morgan Watkins and Sean Thompson entered the hall to a huge roar and the sight of lots of boys in their Birr Jerseys. 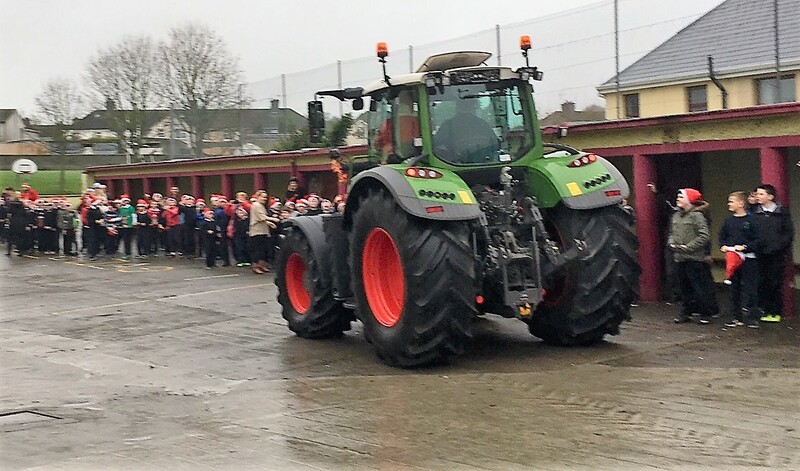 The group spoke to the school about their pride in bringing the cup back to their primary school and how they hoped to inspire the next generation of hurlers in town from this success. 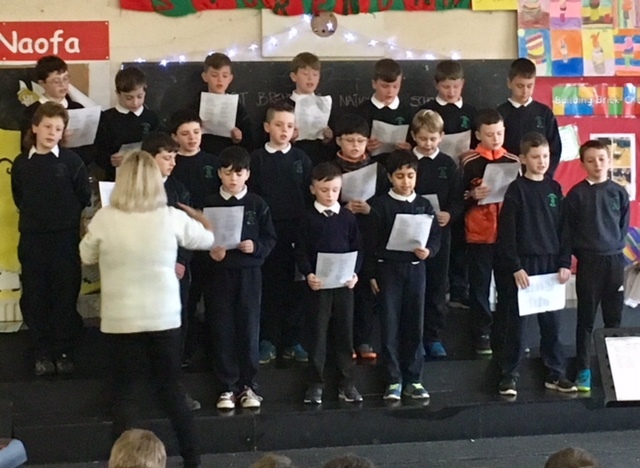 We wish the panel congratulations on their success and best wishes with their hurling into the future. 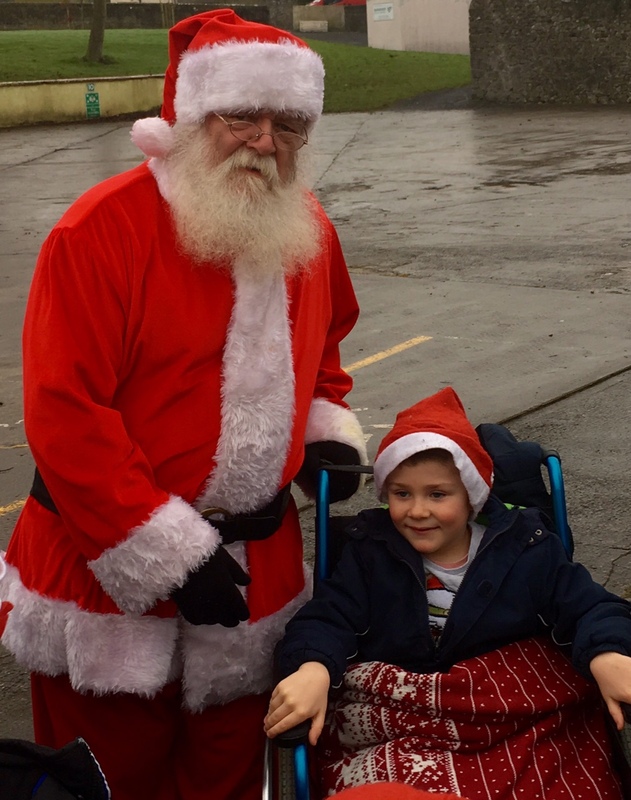 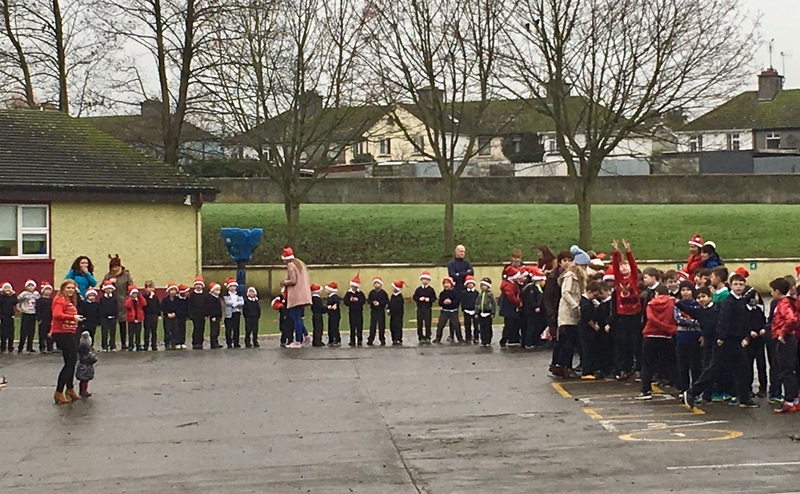 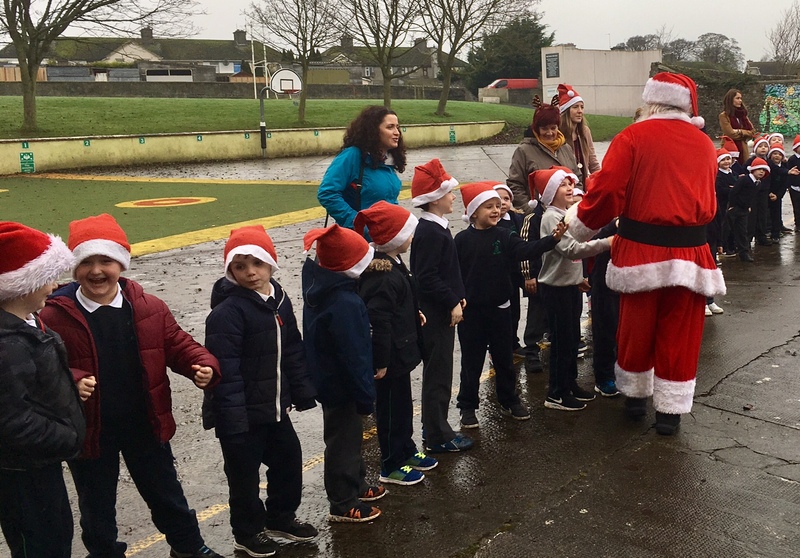 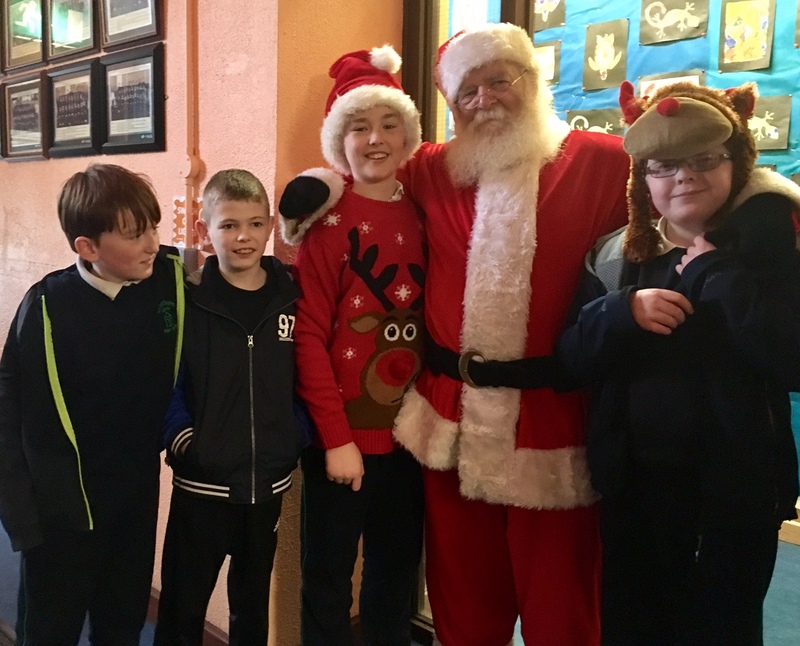 Christmas 2017– We were delighted to welcome Santa to the school again this year thanks to our parents association. 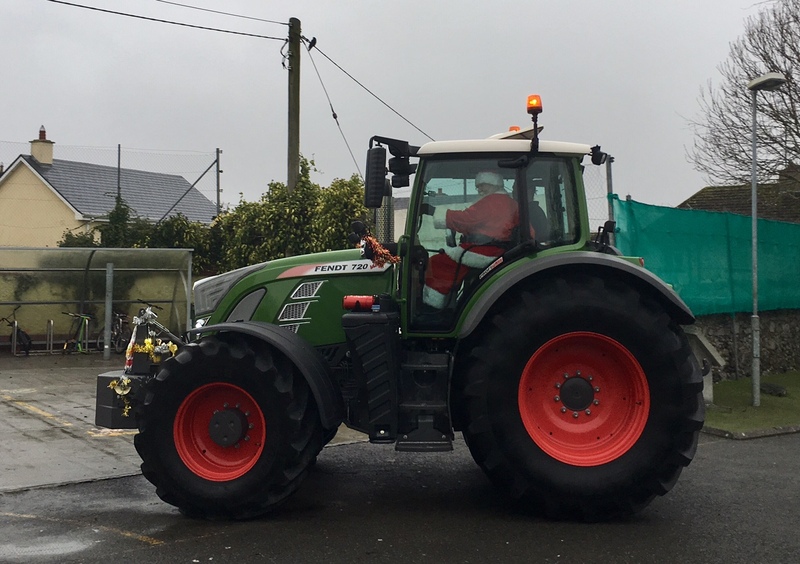 This year he arrived on a massive tractor and the place went wild! 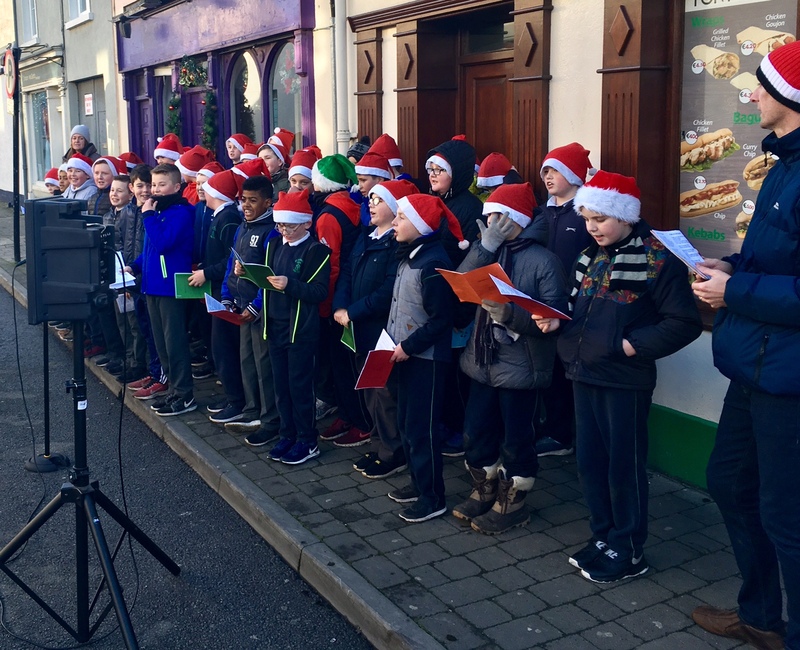 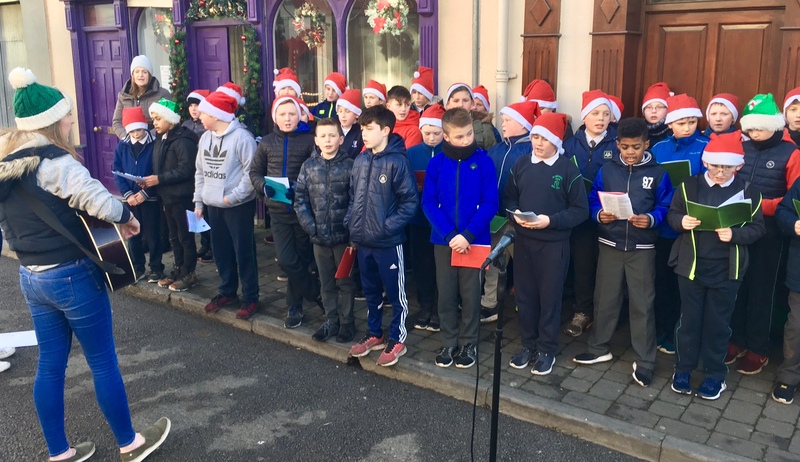 The Irish Independent picked up the facebook post and video and posted onto independent.ie which was great for the boys to see their school on national media. 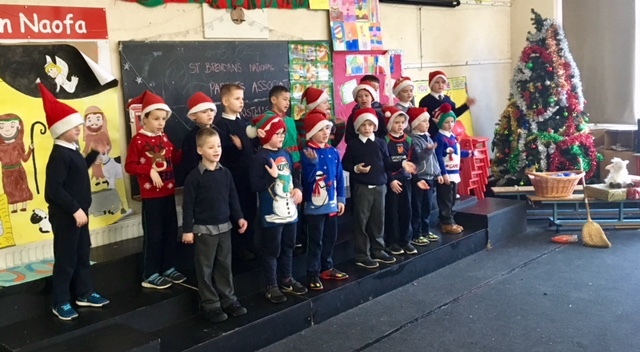 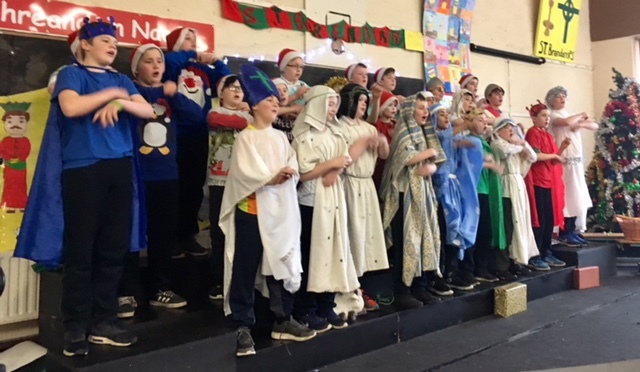 The last week of term was filled with concerts and Christmas nativity plays which were well attended by parents and families. 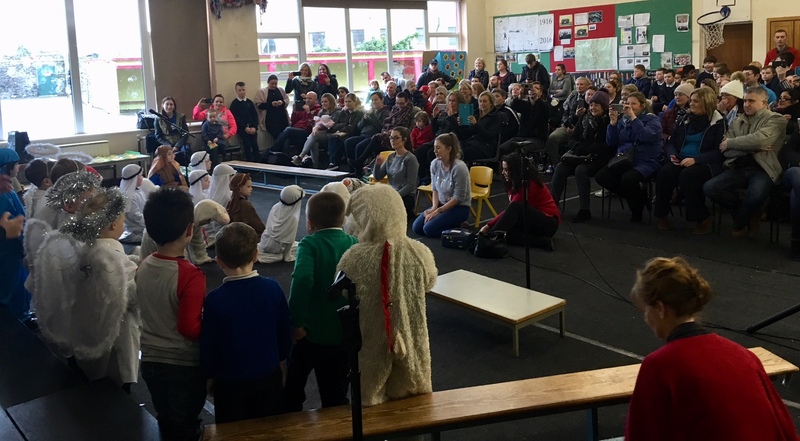 The always successful Christmas Draw was held then with all details of winners posted onto PA facebook page. 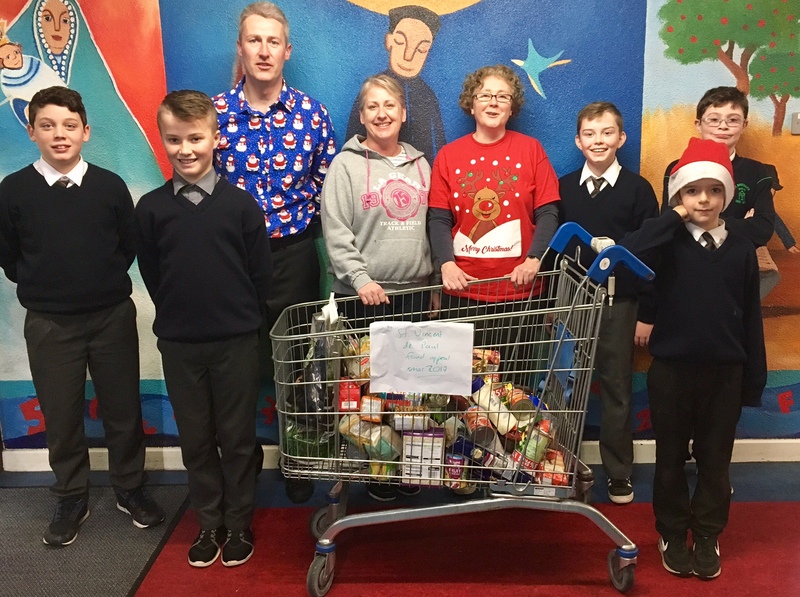 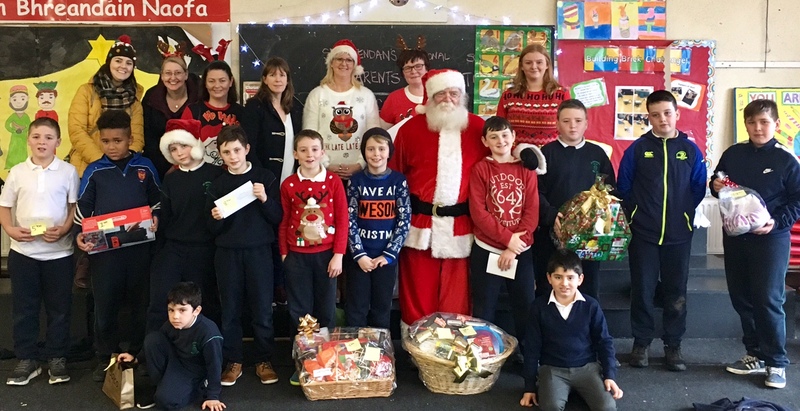 ( Pictured are some our PA members with prizewinners) All proceeds from this will this year be spent on our school garden as we are planning a project to install more play equipment and a basket swing. 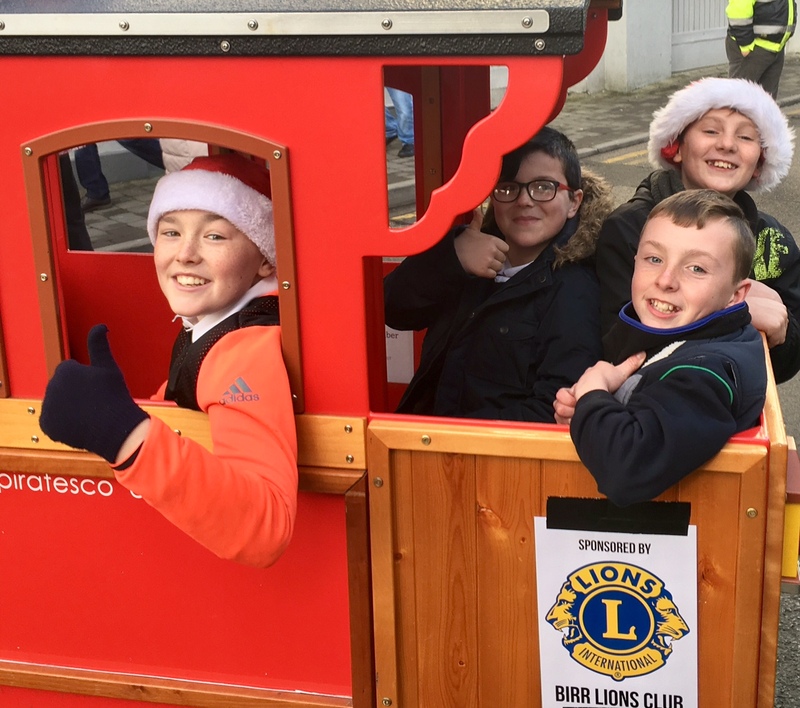 More details and photos to follow in 2018 and thanks to all who supported the draw.